Become a water genius! 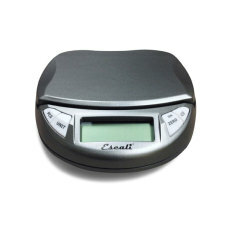 Tailor your water perfectly for your beer every time! Take your beer to the next level! Water is one of the four elements that make beer, yet it is one of the most overlooked aspects of the beer making process for many home brewers. This water kit is designed to get you all the tools and information needed to do water adjustments, tailoring your water for whatever beer style you are brewing! Brewing salts, acids, pH strips, and the water book from the Brewing Elements series will have you adjusting your water like a pro in no time! 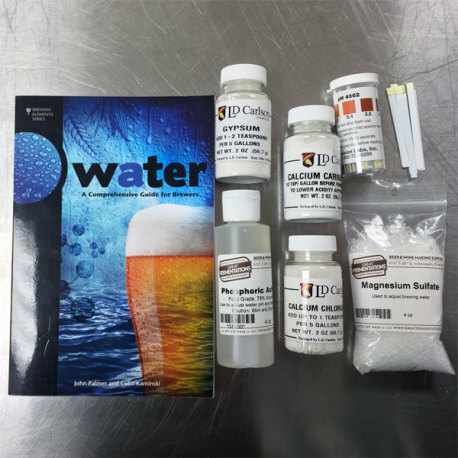 Great Fermentations Water Kit quick reference guide. Gypsum (Calcium Sulfate), 2 oz. Water: A Comprehensive Guide for Brewers, by John Palmer and Colin Kaminski (with technical editing and contributions from the Indianapolis area's own Martin Brungard).